On Thursday evening Cafetoria Roastery together with Luomuviinit.fi organized a coffee and wine tasting at Cafetoria’s showroom in Helsinki. The tasting was focused on organic coffees and wines. Cafetoria’s owners Ivan Ore and Mia Nikander-Ore were hosting the coffee tasting. The coffee tasting menu had two organic espressos and two organic filter coffees. One of the coffees was naturally the organic and Fairtrade certified Gran Palomar – perhaps the best known and oldest of Cafetoria’s coffee brands. Gran Palomar is a filter coffee coming from Peru and is said to have the flavour and aroma of the Andes. The espressos on the tasting menu were Espresso Amigo and Espresso Sublima. 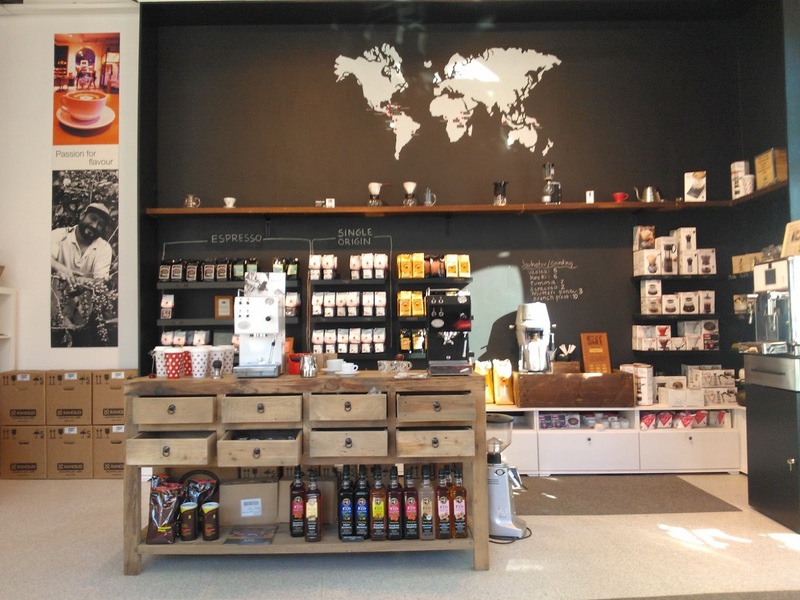 The Espresso Amigo is made from 100% Arabica beans coming from Honduras and Ethiopia. 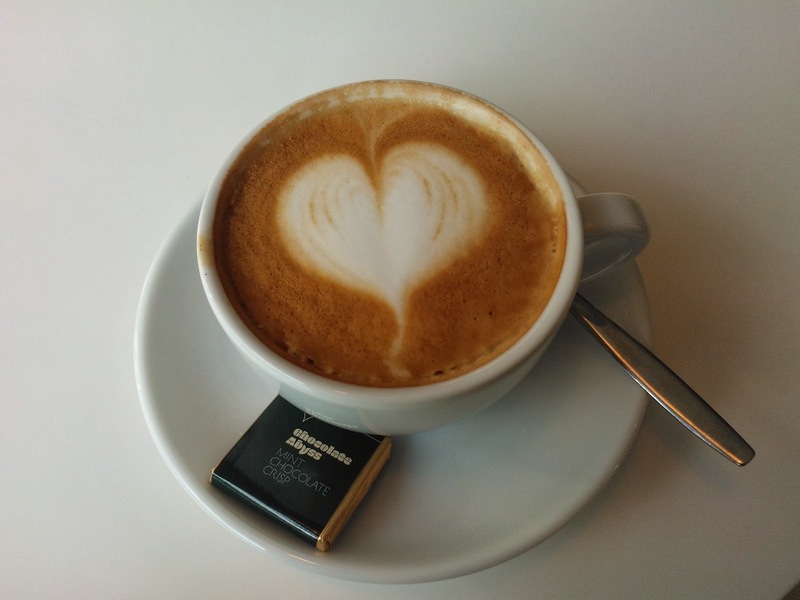 The Espresso Amigo worked very well in a cappuccino and gave a flavoursome yet soft taste. The Espresso Amigo ended up being my favourite of the entire tasting. The other espresso – Espresso Sublima – was very good as well but comparing to the Espresso Amigo I felt the taste was a little more spicy and acid. The Espresso Sublima was told to be an organic blend of gourmet Arabica coffees from South and Central Americas. The tasting was organized at Cafetoria’s beautiful showroom. After tasting the coffees it was time to taste some organic wines. 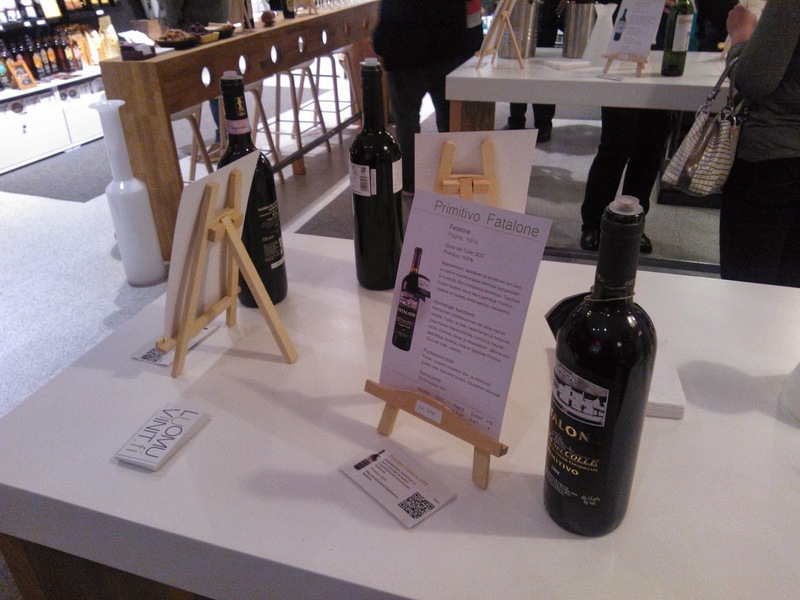 The online wine shop "Luomuviinit.fi" was in charge of the wine tasting and they served several organic red and white wines coming from Spain and Italy. Similarly as with the coffees I personally do not prefer much acidity in any drinks and this clearly influenced in the wine tasting as well. Maybe it was because the weather has now turned colder the red wines seemed much more interesting than the white ones. Of the red wines I tasted a favourite was easily found. The Spanish red wine Aroa Gorena Reserva coming from Aroa Bodeagas in Navarra was preferred by many of the participants – including myself. The Aroa Gorena Reserva is a 100% Cabernet Sauvignon red wine matured in oak barrels for 18 months making it taste soft and full-bodied. This is a wine I would consider to accompany a well cooked meat dish. Good to keep in mind when preparing a special dinner! 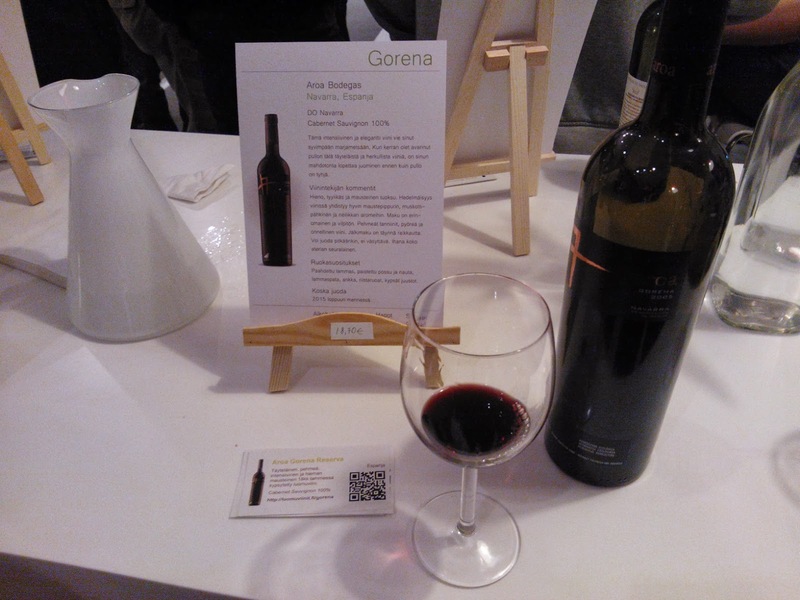 The Aroa Gorena Reserva standed out in the wine tasting.